MP3 players of today are sold without music, but that is about to change. Several manufacturers have signalled their intention to pre-load their MP3 players with music before shipping them out to resellers. One example is Microsoft's forthcoming Zune player , which will be sold with some 30 songs from major record labels included. This new marketing strategy is expected to gain manufacturers as well as the record companies. 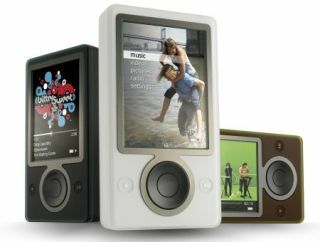 Richard Winn, one of the developers of Zune, says that it is an ideal way for record labels to promote their products. Of course there is no way of predicting how many Zune players that will be sold but Microsoft's UK homepage expects a few million customers. In addition, the marketing campaign associated with the music player will cost about £160m ($300m). A large chunk of the campaign will include images and tunes from the artists that the player will be pre-loaded with, Winn told the Reuters news agency . In other words, this paves the way for a huge target audience for the record companies that will supply music to be included on the Zune. Sandisk , world number two in the flash memory player market, takes yet another step with its Rhapsody music store . The company is to offer a series of players named Sansa Rhapsody where some 32 hours of music will be added on the player at the time of purchase, the most part from well-known record labels. There is a catch, though: users have to sign up for a Rhapsody subscription and synchronise their players, otherwise the pre-installed music will be deleted after 30 days. According to Reuters, record companies are keen on the new collaboration, seeing the "great promotional benefit". However, they stress that it is of huge importance that the music is copyright-protected to limit file sharing. The record labels also wish to ensure that the music included on the players is relevant and recent, such as from a particular artist that is on tour or about to release a new album. Another reason behind the strategy is that it becomes easier to show consumers how the players work. Resellers have been complaining that it is difficult to show customers how to work the products and compare the various players on offer.